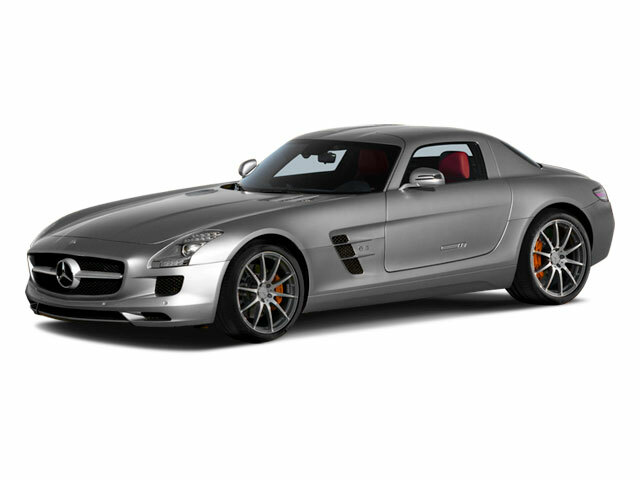 The Mercedes-Benz SLS AMG was introduced as a new model for 2011. The only change seen for 2012 is the addition of a convertible version. Designed as a replacement for the aging McLaren SLR and as a new range-topper for Mercedes-Benz, the SLS AMG is a completely new platform designed and honed by the high-performance gurus at AMG. Using the 300SL Gullwing as inspiration gave the car its characteristic shape, and perhaps its most unique and iconic feature--gull-wing doors. It features a long hood and short rear deck, much like the 300SL. Performance has been ramped up considerably, both in terms of raw power and chassis design. The only available engine in the SLS AMG is the same 6.2L V8 used in the SL63 and other AMG models, although here it's been tuned slightly with dry-sump oiling, a reworked valvetrain and camshaft design, special tubular headers, a free-flowing intake and an improved exhaust system. The result is 563 hp and 479 lb-ft of torque, which pushes the SLS to 60 in just 3.7 seconds and gives a top speed of 197 mph. A 7-speed dual-clutch electronic transmission is the only available gearbox, featuring aluminum shift paddles mounted on either side of the steering wheel. The driver can select between several modes that offer shift quality tuned for both maximum performance and maximum efficiency--and several steps in between. Mounted in the rear and connected to the engine via a carbon-fiber driveshaft, it helps give a near-perfect weight balance of 47/53 front-to-rear. The chassis utilizes 4-wheel independent suspension with double-wishbone designs front and rear, and with the engine mounted low in the chassis (thanks to dry-sump oiling) and its rear-mounted transaxle, the SLS's center of gravity and overall balance helps provide exceptional handling characteristics. Massive disc brakes help bring the car from 60 mph to a stop in just under 100 feet. 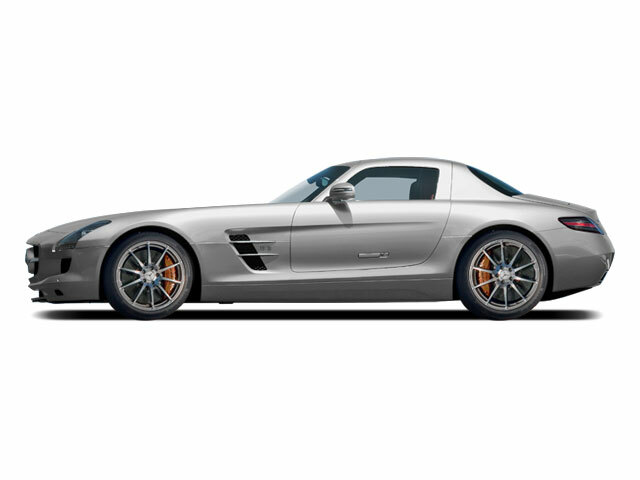 The SLS AMG started out as a coupe, but a new convertible is available in 2012. Both are built on a high-tech aluminum space frame. Standard safety equipment includes stability and traction control, antilock brakes, front, side, knee and curtain airbags for both driver and passenger and Mercedes-Benz' "mbrace" emergency telematics system. In the event of a rollover, the coupe's gull-wing doors separate from the car via pyrotechnic devices, allowing easy exit for both driver and passenger. The roadster SLS AMG comes with a three-layer fabric top and conventional front-hinged doors instead of the coupe's gull-wings. While Mercedes-Benz did have to add additional bracing to keep the chassis rigid, they claim the roadster weighs the same as the coupe, but has a lower center of gravity, so handling will not be affected too much. Standard equipment includes 19-inch front and 20-inch rear cast aluminum wheels, bi-xenon headlamps with washers, auto-dimming and power-folding mirrors, a backup camera, keyless entry and ignition, leather upholstery, heated seats with memory functions, dual-zone automatic climate control and a premium sound system with satellite radio and iPod connectivity. In addition, Mercedes-Benz COMMAND interface is also standard. Optional features many AMG performance parts, such as performance and adaptive suspension and carbon ceramic brakes. Outside, three types of unique alloy wheels and carbon fiber trim are also available. Inside, a leather and suede-wrapped steering wheel, and an 11-speaker Bang & Olufsen stereo system are optional add-ons. 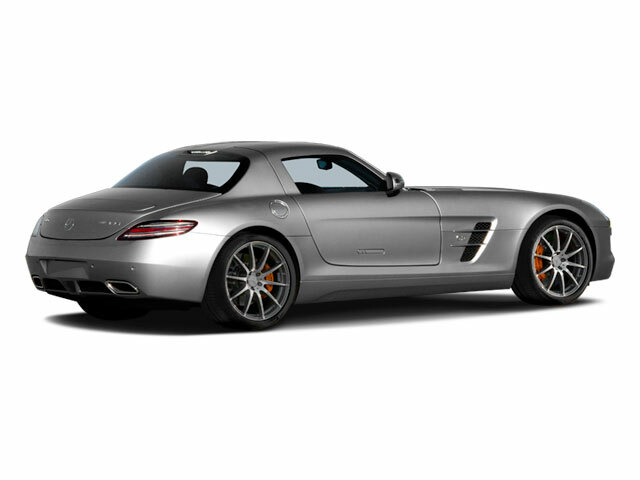 Designed and built by AMG--Mercedes-Benz' performance division, the SLS AMG was inspired by the iconic 300SL Gullwing of the 1950s and built with both performance and usability in mind. In a supercar market full of occasional-use vehicles that see duty only occasionally, like the Lamborghini Gallardo or Ferrari 458, the SLS stands out as a practical performer that'll keep pace, has a great look, and still can be driven regularly. Starting at under $200k, it's a relative bargain among its peers. Iconic styling with vintage 300SL looks; gull-wing doors, supercar status from performance-designed chassis; powerful V8 engine; roadster bodystyle available for 2012.